Congratulations to all the enthusiastic teams that entered the Ridgy Didge Rogaine. Many of you stayed out all night in the fine weather. It was great to see so many different route choices and to see you come and go from the All-night-café with tales of controls found (and some not). The koalas reported seeing lots of teams: Anyone spot a koala? Ron and I certainly enjoyed setting the course, especially as we had such fantastic support from the local landowners. The volunteers for vetting the course, and all those who gave up their weekend to help out, made the event run smoothly. We did have a bit of excitement when the gate into water drop 1 was locked, but with some expert rough road driving, an alternative route was found. The ANC was a family effort with sisters, sons and son-in-law. Even the tent out there was our old family camping tent – still in good nick after 65 years! The most amazing part of the ANC is seeing lots of people dozing around the fire at 4am. Then suddenly by 6am not a team in sight. I hope to see a few of those aprons at ANCs and HHs at future rogaines. The best email we had regarding entries went like this: Rob should make a full recovery. He has 6 broken ribs, broken collarbone, a collapsed lung and a broken wrist. He was talking about competing with his arm in a sling at one stage but now all the bruising has come out and he is in a lot of pain I managed to talk him out of it. Rob, you have won a free map!! Results and photos are on the Ridgy Didge website. Congratulations to Fergus Macleod and Max Messenger from ANU who are this year's Intervarsity champions, and also won Mens Under 23 and were 13th overall. They also won the mixed under 23 at the Australasian Champs in NZ last February with Alice Patterson-Robert. This year 19 teams from 4 states contested the Intervarsity event. ANU had a very strong showing with 12 teams, and ADFA had 3. Teams comprise students from the same institution, and TAFE was included for the first time - with a team from TAFE Western in Lithgow. The strong showing of under 23 teams helped boost ACT's score to win the Interstate Challenge Trophy. Entries are now open for the navigation workshop. Whether you are a complete beginner or a fairly experienced navigator we can team you up with coaches to teach you new skills to take your navigating to the next level. The weekend consists of practical sessions (two day and one night); an afternoon of general tips and course planning, or course setting for the more experienced people; a Q&A session and a mini-rogaine. 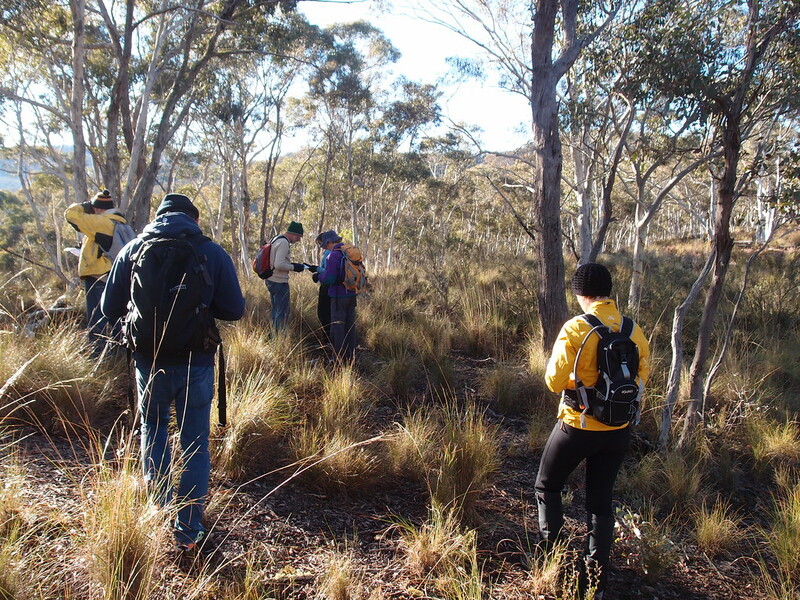 We will be based on Mt Ainslie, Black Mountain and at Googong Foreshores. Numbers will be capped to ensure we have no more than 3-4 people per coach so enter now. This year’s NSW Rogaining Association Paddy Pallin Rogaine will be held at “Arthursleigh”, a farm that is owned by The University of Sydney. “Arthursleigh” is located at Big Hill, 29 km North of Marulan in the Southern Highlands. The commercial property is predominantly sheep grazing. The course features extensive farmland, stunning open bush land and extended river pools. There is a vast variety of fences, but, many of the paddocks are large enough to contain several controls, and, both the bush tracts and the river frontage are essentially fence free. The land form switches between granite outcrops and metamorphic spur-gully which should entertain all navigators. This event is a great Winter Blues Buster and the perfect opportunity to get out-and-about with the whole family. Once again, the ever-popular Winter 4h rogaine will visit Googong Foreshores. This time, we will explore the northern section with some lovely open bushland on the eastern fringes providing spectacular views across the lake which will test the legs, views of the gorge below the dam wall and some flatter terrain in the western areas. Entries will be open very soon. We are seeking some volunteers to help with the event - a willing person to run the electronic scoring system (this is a great opportunity to get behind the scenes of how the rogaining software works but will require some short training prior to the event) and general helpers on the day. Please contact Susie. One of the big highlights of the Australian Rogaining Championships was meeting other teams for the whole event. Excellent course setting with a hash house on one side of the course and the temptation of a Douglass family “cuppa and tucka” All Night Café lured teams into staying out all night. It is normal for me to spend all of night on the course and typically there are long spells of hours without seeing another team. Congratulations to everyone who took the plunge and stayed out. I would also like to extend a HUGE thank you to Jean Douglass and Ron Simpson who were instrumental in making everything about the Australian Rogaining Champs a success. 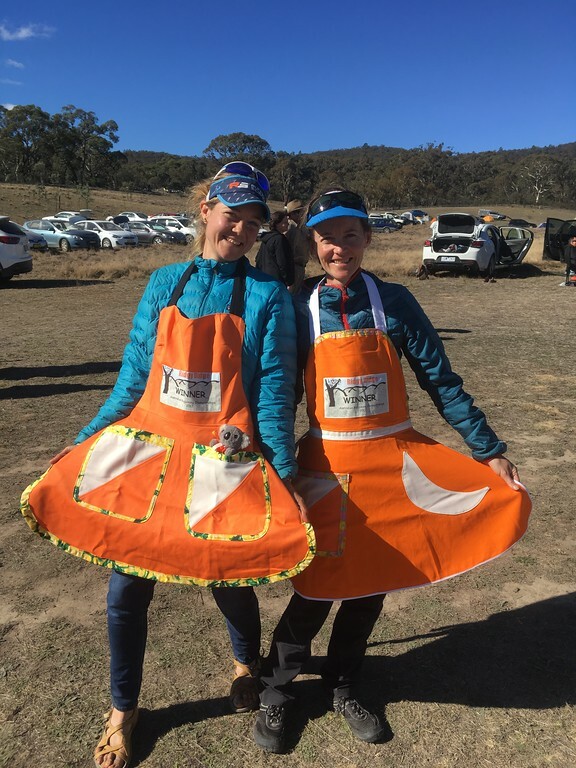 Including arranging land access; setting the course; hiring marquees, utes and water cubes; mustering volunteers; bus access; running a dedicated website; answering queries and making amazing apron prizes.